Like it or not, you are going to be under the radar of data collectors when you are working with web browsers like Chrome, Firefox, Microsoft Edge to Safari. They — the data collectors — will learn your online activities like recording your browsing activities, tracking your location and so on. They will commonly use your data for advertisement needs, but there is no guarantee your data will not be misused as they has a full control of it. People who care about their privacy know how they supposed to do if they have to make an online activity. They will usually switch to the private mode of the web browser they are using. Do you think that switching to the private mode will keep you completely free from tracking? I am not sure. In case you didn’t know. Going to the Incognito mode in Google Chrome won’t set you free from the tracking activities of the websites you are visiting. It will actually only be disabling your browser’s history, search history and cookie store. So, what you have to do if you want to be completely free from tracking?. Migrating to a private web browser might can be a good choice. Well, there is no 100 percent guarantee you will be completely free from tracking. At least this kind of web browser doesn’t as generous as regular web browsers in letting websites collecting your data. Here is the list of private web browsers you can consider. 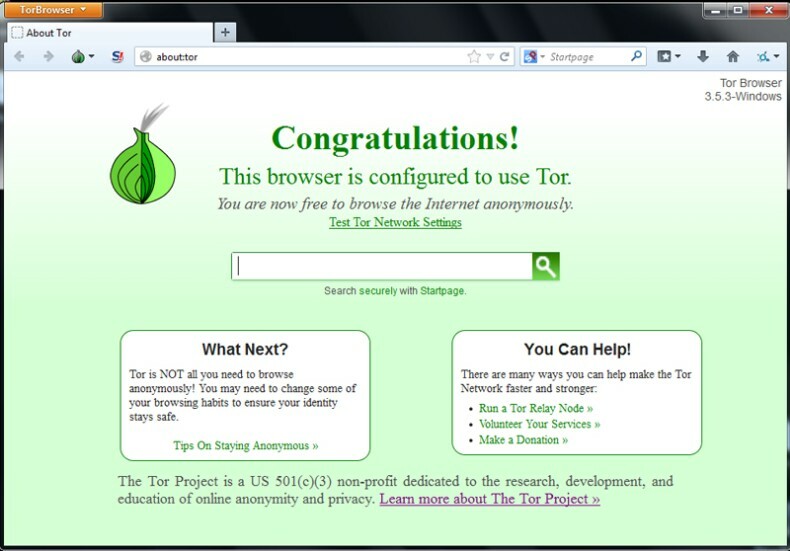 The first private web browser you can use to hide from tracking activities is Tor Browser. The way this browser works is quite simple. Before you are reaching your destination, you will be going through a distributed network of relays run by Tor volunteers all around the world. This network will prevent other parties from learning your online activities as well as knowing your physical location. It also lets you accessing sites which are blocked. You can learn more how this browser works here. When you launch Tor browser on your computer, it will automatically starts Tor background processes and routes traffic through the Tor network. Upon termination of a session the browser deletes privacy-sensitive data such as HTTP cookies and the browsing history. Tor itself has a similar interface to Firefox since it was built based on Mozilla Firefox ESR. This browser is available for major operating systems from Windows, macOS and Linux. Epic Browser lets you to surf the web anonymously via its built-in encrypted proxy. 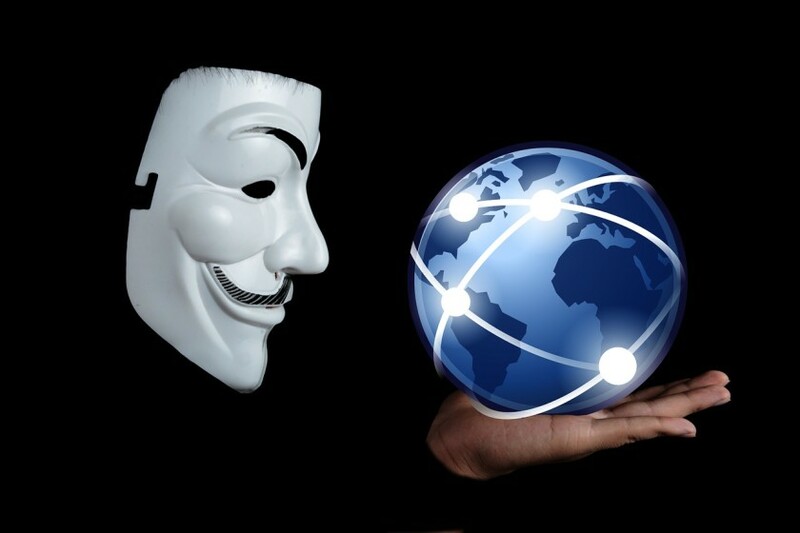 Surfing the web via proxy meaning that you hide you real identity. This browser will prevent sites that thirsty of data like Facebook an Google from tracking you. Epic blocks any kind of tracking methods, from cookies, IP address, HTML5 storage, flash cookies to fingerprinting. There are many ways how Epic protects you. Apart from preventing you from being tracked, it also features extreme privacy. You will see no such feature as browsing history, spell-check, suggested web address and so on. 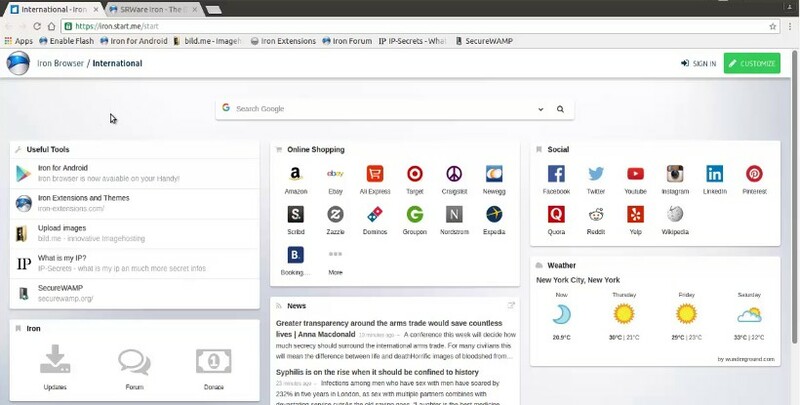 This private web browser is developed by Hidden Reflex based on Chromium. So, don’t be surprised if you see a Chrome-like interface. Currently, this browser is only available for Windows and macOS. Another private web browser that is built using Chromium, the open source version of Google Chrome. The main purpose of SRWare Iron is to eliminate usage tracking and other privacy-compromising functionality that the Google Chrome browser includes. Unlike Epic Browser and Tor Browser, SRWare Iron doesn’t offer a VPN service so it will not hide your physical location to prevent data collector from tracking your location. Basically, this browser only removes standard features of Google Chrome that is considered as the tracking gates such as RLZ identifier, Google Search, Google-hosted error pages, DNS pre-fetching and so on. In addition to it, you will also see additional features including ad blocker and user agent switcher. This private web browser is available for major operating systems from Windows, macOS to Linux. Android version is also available. Honestly, Comodo Dragon isn’t entirely a private web browser. While the browser might makes it difficult to sites to track your activities, it will tracks each user’s time spent using the browser, operating system, and some browser inquiries. This web browser is also built based on Chromium. The main idea of Comodo Dragon is a bit similar to SRWare Iron. It removes the potentially tracking default features of Google Chrome like Google Native Client, Google user tracking, Google-hosted error pages, suggested address and so on. Upon installation, this browser will offer you an opportuniyy to configure either the Comodo Dragon or the user’s entire computer to use Comodo’s own DNS servers instead of the user’s Internet service provider. Additional security features offered by this browser include additional checks on the SSL digital certificates of secure websites. Since this web browser doesn’t run via VPN, you won’t also go anonymous. 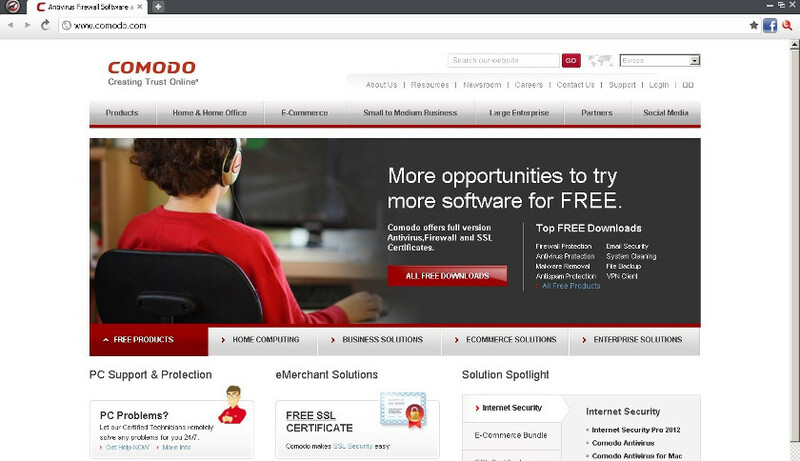 Comodo Dragon is only available for Windows. There is no support for neither macOS nor Linux. Brave won’t also make you surfing the web anonymously by offering a VPN service like Tor and Epic do. But, it comes with a number of security and privacy features that not offered by regular web browsers. One of which is enhanced online privacy. This web browser also helps you to block website trackers and remove intrusive ads to allow you surfing the web more comfortably. Additionally, the browser also has HTTPS upgrades, which means more of your connections are encrypted. 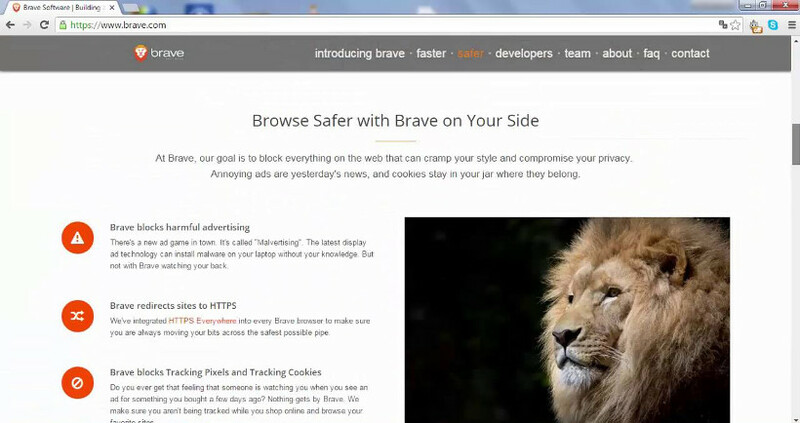 Brave is built based on the Chromium which mean it comes with a Google Chrome-like interface. This browser is developed by Brave Software, a company founded by Brendan Eich, a co-founder of Mozilla Project and Brian Bondy. Brave is an open source project released under the Mozilla Public License version 2.0. This private web browser is available for major operating systems like Windows, macOS and Linux.